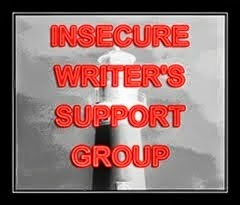 This is my post for the August Insecure Writer's Support Group, posting every first Wednesday of the month and organized by Alex J. Cavanaugh. You're Not a Real Writer. Luckily, I went to a college rife with various arts majors, all of whom spent a lot of time sneering at one another, proclaiming that so-and-so is a "poser" and that dude isn't "a real actor." This kind of attitude isn't new to me. And even I'll (happily) admit to a bit of writerly snobbery here and there and yes, I do (very) occasionally think, 'Oh, dear God--he/she isn't a Real Writer." And then I scratch my head and wonder, exactly, what a Real Writer is. Someone who sits and writes every single day? Someone who hits the Best Seller charts? Someone who never wrote a word in their lives and then decides to write a book? Someone who thinks up story idea after story idea? Someone who carefully edits and revises their work? I don't know if it's as simple as "Writers write." I think there are gradations on writing, like any art, and the arts are subjective. People write for different purposes and for different ends. But don't be a douche. Don't dismiss a genre as trash because you've never tried reading it. Don't dismiss a writer's process because it doesn't make sense to you. And don't scare off the newbies; they might be our next literary giant. Be careful, or you'll end up in their novels. I think when you do write, you get it. You get that someone else is a writer even when they have a day job or two, have not been published or have paid more toward their writing than they've ever earned, but they are working toward those goals. People who don't write seem to mostly only label a writer if they've heard of your book. Your word of warning is too funny--you never know what will spark inspiration for a character. But then, I've read mostly writers lobbing the Not a Real Writer label at other writers. Who made them the Literary Gatekeepers, I wonder? I think the literary snobs are one of the dragons we have to defeat on our writing journey. We need to learn not to care what they think. They are probably only snobby because they are insecure themselves and it's their way of coping. You're right--I think snobbery is definitely part of the hurdles of writing. I think it's part forgetting your writing roots, that maybe once upon a time, you were asking "dumb questions," too. I can admit to a bit of snobbery sometimes as well. Totally guilty of seeing something like, "I've rewritten my chapter one thirty times" and thinking that person is insane. But you're right, there's a difference between thinking someone's process is ridiculous but still acknowledging that they're a writer and the flip side which is thinking that everyone who does something differently than you is wrong and therefore not a real writer or somehow beneath you. Respect the process right? Some writers are just rougher around the edges. Doesn't make their end product any less shiny. And not everyone who writes is a super serious writer, but there no point in being offended by it and attacking them. I see the exceptionally snobbish ones sometimes and it's like, really...can't we all just get along? There's an Ernest Hemingway quote that I like: "We're all apprentices in a craft where no one ever becomes a master." 'Don't be a douche' is the best advice ever. There's a lot of douchebaggery going around. I often see writers putting down another genre. 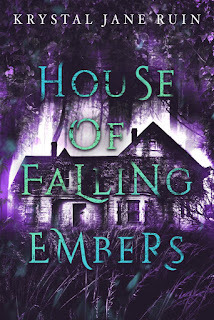 Usually, it's a bit of a covert operation, where they say, "Oh, I wish I could write THAT stuff and make a ton of money, but I'm doomed to write A, B or C." Fiction is entertainment. Whatever entertains people is a good book - whether a writer thinks it's well-written or not. I'll admit to totally throwing shade at Twilight. I don't think they're well-written, but obviously, something took hold there and got people reading. Very interesting. I don't know if I've ever thought someone wasn't a writer because they didn't meet certain "criteria." Would exactly would the criteria be? People can be so mean to others though. Like, why? Why not support instead? What is wrong with you!!? I don't know where the attitude comes from, but there's a difference between honesty and truth and outright snobbishness. We each have our own path and methods. I think of a writer as anyone who writes and an author as anyone who's written a book or for any publication. And I don't write every day. Unless you count blog comments. I try to write everyday and I usually succeed, but sometimes, it doesn't happen. Every writer is an individual, with a special set of writerly goals/techniques/skills/expectations, and has to travel his/her unique writerly path. NO genre is superior over another because the literary industry is constantly changing. Nothing stays the same. What's popular today is out of fashion tomorrow. But I suppose it takes all types to make the world... and that includes small-minded individuals who are not interested in new or different ideas, and also those who resist change and prefer the familiarity of their comfort zones. They say that writers have to develop a thick hide, not only to cope with those rejection letters, but also to fend off the literary snobs! Well said! Don't forget those who speak in absolutes about their process being the right process. It's not! Wow, very forthright post--I love your honesty! As a published author (and at my ripe old age at 40 and having started writing about 9, too), I have never once dismissed anyone as *not* a real writer. To me, the definition of a "real" writer is when someone has the "real" passion for it. If they write because the teacher forces them to, well, I don't consider them having the "occupation" (not as in job, but as in something that occupies their thoughts) of writing. Does that make sense? I jump for joy when someone starts off into this brave world and mentor them as much as I can! Take my son, he tried writing, he feels he is not good enough, but I try to get him to grab onto it with both hands and RUN! Still, he's tentative. My daughter, on the other hand... WOOO! She's finished at least 6 books before 18!!! My! It took me 8 whole years to finish ONE stinkin novel (started off at 16, finished at 24). This came about because I've seen more and more of these snotty posts and replies on the writing forum I'm on...and why?! What's the point in belittling someone? Thanks for your soapbox speech, Elizabeth!